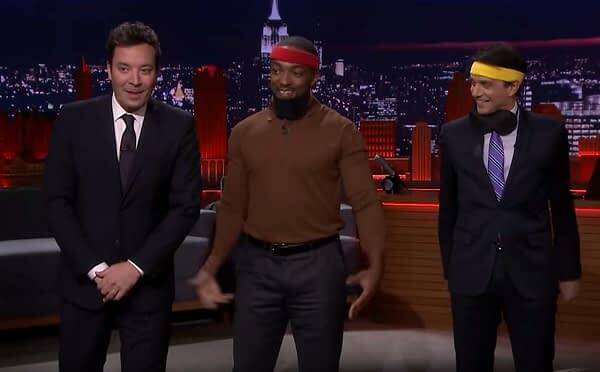 This week on The Tonight Show with Jimmy Fallon, Anthony Mackie was a guest promoting the upcoming Avengers: Infinity War film in which he reprises his role as Sam Wilson, aka The Falcon. During his visit he was challenged to Karate Piñata… a game where someone is blindfolded, put in the center of four spinning piñatas, and expected to kick them open. 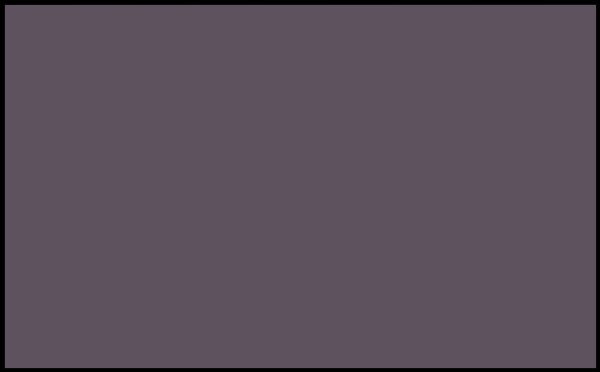 The person who kicks open the most wins. Mackie goes through quite a few warm-up moves before discovering his opponent… the Karate Kid himself, Ralph Macchio. The interesting thing to note here is that while the show was obviously playing on the fact of Macchio working on the Karate Kid webseries Cobra Kai, it’s also a Marvel vs. DC moment as The Karate Kid is copyright of DC Comics — check the closing credits of the original film and you’ll see the DC Comics copyright mark. The game goes about as expected. Macchio pulls out the original headband from the film and the crowd goes wild. He also does the classic one-legged kick and nailed one of the piñatas, making me question if he was really blindfolded… but it was a fun, silly moment. And Mackie was obviously having fun as well.